A room is more than a space. It can be a perfect home office, with some space for storage and to excel in the decoration. You should choose to use furniture with storage space. Additional storage at home is always appreciated, so be sure to have many options, from small solutions to major ones. 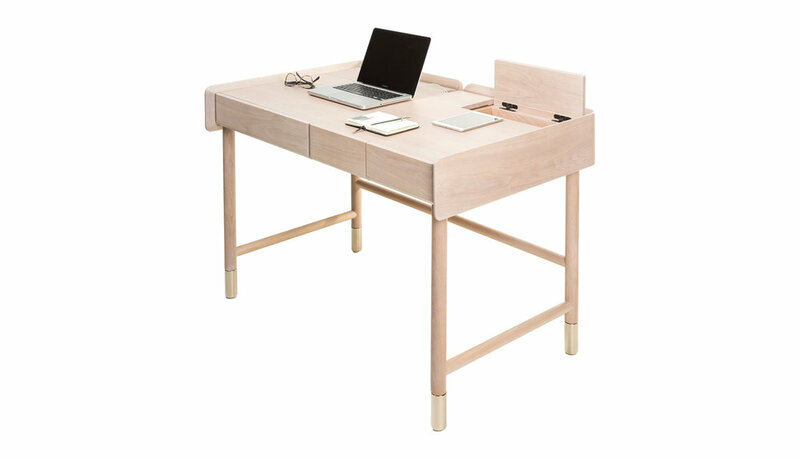 You should look for a desk that offers storage space, our 'Hideout' is a minimalist desk which unfolds into a clever workstation that offers a wealth of storage. Storing office accessories, documents, cables, and peripherals and when the work is completed, the desk returns to its original form, hiding everything neatly away. For larger objects, we suggest our bookshelf 'Nerone'. It has a great size and can hold a lot and at the same time providing elegant storage space. The two drawers, four doors, and several open spaces are very functional, suitable for display and store different items. Once you have your main stuff stored and organized it's time to add a little of your own personality to the room and decor the space. You can never have enough! It's time to get organized and be more productive.